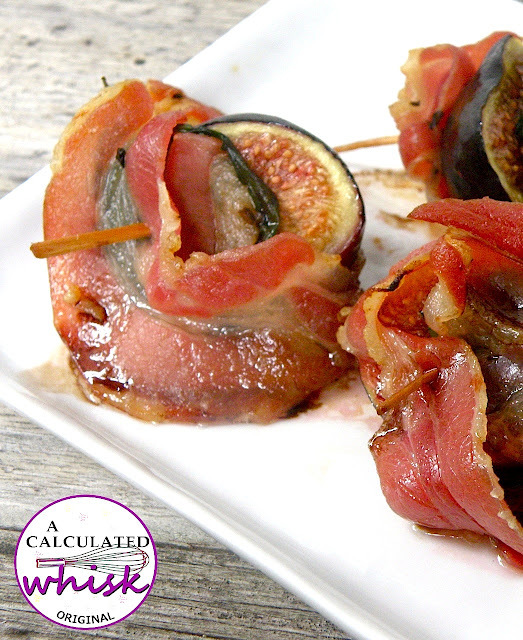 This simple appetizer is an amazing way to showcase some delicious figs. I’d been wanting to wrap figs in prosciutto for a while now, but accidentally got slices of pancetta instead. I think in my mind I’d filed them as being the same thing. I did a little research and it seems like pancetta is thicker and less pliable, and cured with more spices than prosciutto. You can use either one here–prosciutto would probably be easier to wrap around the figs, and you might not even need the toothpicks. My boyfriend and I devoured all of these in about five minutes, but I imagine in a classier setting this recipe could feed a couple of additional people. The figs are sweet and juicy, and a great contrast with the rich and salty pancetta. The basil adds a layer of freshness, but you can make these without it and they will still be delicious. If you’re feeling extra fancy, you can boil your balsamic vinegar into a syrupy reduction–I used mine as is because I was in such a hurry to get these scrumptious morsels into my mouth. Preheat the oven to 375 and line a baking sheet with foil. Brush the foil with a little olive oil. 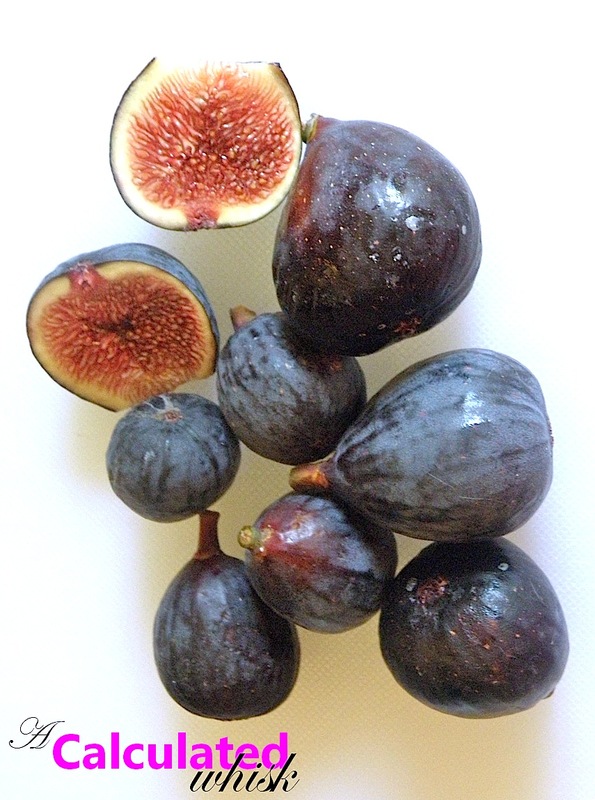 Trim the stems off the figs and cut them in half. Place a basil leaf on the cut side of each fig half, then wrap with a piece of pancetta and secure with a toothpick. Bake for 15-20 minutes, rotating the pan once. The pancetta should be a little bit browned and sizzling. If you use prosciutto instead of pancetta, you may not need to bake for quite as long. Serve hot or warm, sprinkled with a little balsamic vinegar. I made the figs just like the recipe. They came out so good all of my family loved them. 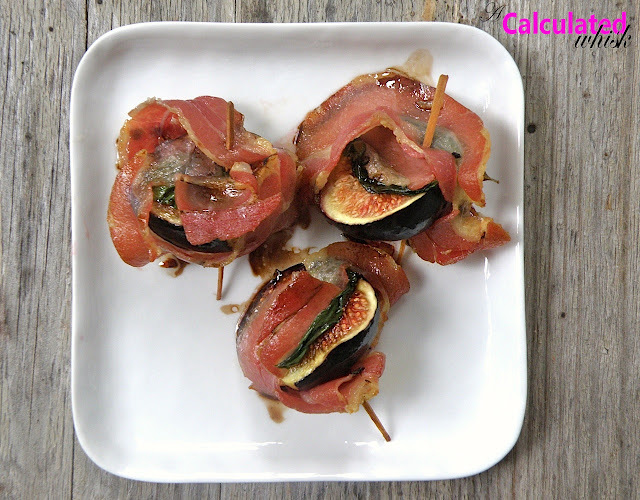 Such a classy dish:)) I have never tried Figs wrapped in anything (so sad, huh) But these are on my list now! !